The German government unveiled its High-Tech Strategy on Wednesday (3 September), intended to boost integration between the research and economic sectors. EURACTIV Germany reports. 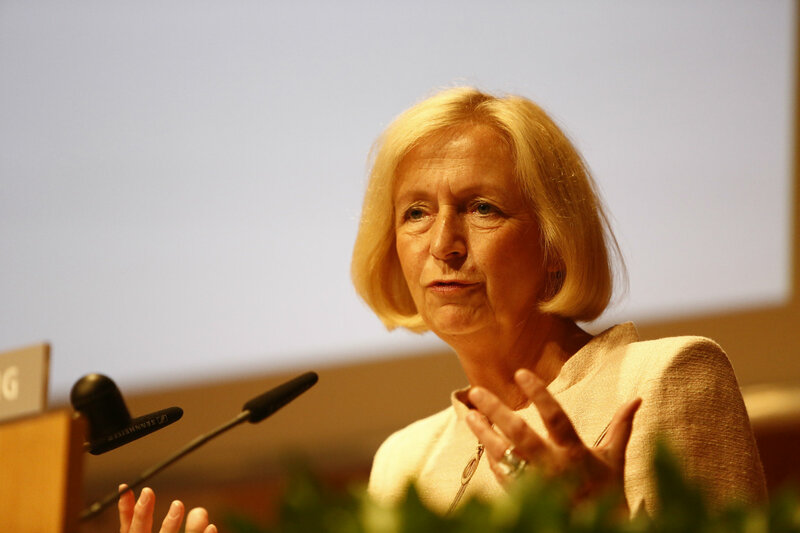 “We hope that ideas will create jobs here,” said German Minister of Education and Research Johanna Wanka, on Wednesday (3 September). The press conference directly followed a meeting of the Federal Cabinet, in which ministers agreed on a new High-Tech Strategy (HTS) to promote research in the business sector. The government hopes this year’s funding, a combined €11 billion, will be spent in a more targeted way as a result of the strategy. “In light of growing pressure from international competitors, we must take care to hold on to our top scientific and economic position,” Wanka stated. “Germany must also become a world champion in innovation,” Wanka added, referring to the country’s recent victory in the 2014 FIFA World Cup in Brazil. “For this reason the new HTS is supposed to make concrete innovations out of creative ideas. In this way it will create future opportunities and tomorrow’s jobs,” she explained. The High-Tech Strategy’s readjustment applies to six sectors in which particularly high growth is expected. Among these sectors, the German government has included large-scale data processing, security of digital communication, energy storage and transport, medicine and transportation. A comparatively new target will be the strategy’s funding for research analysing changes in the workplace due to digitisation. The goal is to improve general working conditions, as well as those in training and continuing education. The government also hopes to more closely integrate the scientific and economic sectors. Here, the strategy is meant to to facilitate cooperation between research centres and businesses. A body consisting of representatives from science, economics and society is supposed to accompany the plans. Likely candidates to head up the group are Reimund Neugebauer, president of the Fraunhofer-Gesellschaft, and Andreas Barner, chief of the pharmaceutical giant Boehringer Ingelheim. According to the Ministry of Research and Education, Germany holds a 12.5% share of global trade for high-tech products. The ministry says around one-half of Germany’s exports come from the sector. Europe's high-tech sector has remained stable during the financial crisis with 19% higher wages and an unemployment rate consistently below 4%, according to a study by the Belgian university KU Leuven (KUL). The high technology business has grown two and a half times more than all other job sectors since 2000, says the study, High-technology employment in the European Union.